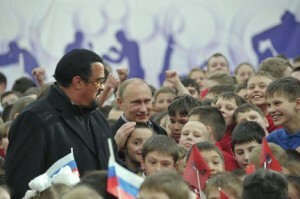 It seems that Seagal was in Moscow to open a new martial arts center. Being that Putin is really into martial arts and Seagal is really into martial arts, it just makes sense to me! Time to think about what you have around you and what kind of life you see everyday?